Imagine you are the Information Warfare Commander (IWC) of a coalition naval task force in the South China Sea in 2033. The task force’s mission is to deliver combat power in support of the Commander’s campaign objectives. As the IWC, you are simultaneously a “supporting” and “supported” commander. You execute multiple lines of operations across the full-spectrum of influence, information, and cyberspace. 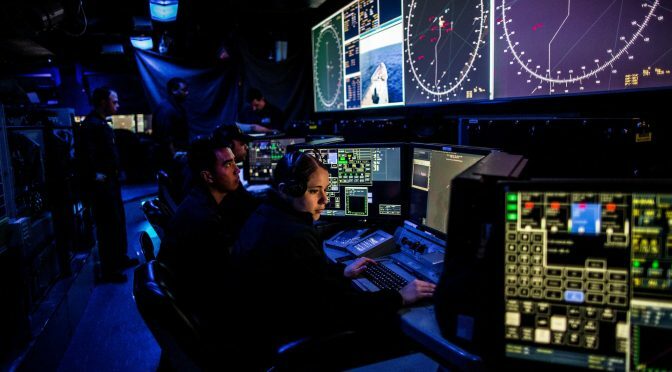 The other warfare commanders – strike, air defense, and sea combat – rely on you to understand their fight and fuel their decision-making with precision information, while simultaneously conducting an integrated high-end fight in and through the information domain leading to warfighting outcomes. The information domain is vast, it can be both localized and completely global, interweaving through all other domains of war. Technological capabilities are advancing at an exponential rate while also converging with each other, creating new capabilities for both you and your adversary. When those are combined with people and processes, they provide significant operational advantages, enabling us to simultaneously contest adversary actions in cyberspace, land, sea, air, and space. Future warfighting, enabled by these emerging technologies, is necessary to adapt, develop, and execute new, more lethal operational methods. The future IWC must foster an intuitive ability in themselves and across their force to recognize these emergent opportunities, seize them with deliberate intent, and be comfortable with a battlespace changing at an unprecedented rate. As “maestro” of the Information Warfare afloat symphony, you understand the potential power of full-spectrum, integrated information warfare. You guide your force to realize that potential by opportunities seized and effects achieved. This requires serious forethought and planning to make certain the force – human and platform – is prepared to orchestrate effects in this type of environment. It demands a certain mentality and type of thinker – agile, adaptive, innovative, willing to take calculated risks with speed; an aggressive change agent. Thinking like a futurist and being comfortable with being uncomfortable should be part of the IWC job description. As the IWC, you see the convergence of people, information, and machines as your domain and how the Navy makes that our warfighting gain. The complex interactions within the information environment and ecosystem expose new vulnerabilities to pre-emptively close or seize. Space, cyberspace, and the electromagnetic spectrum must be protected from disruption by sophisticated and increasingly aggressive adversaries. These domains are contested ecosystems in which you as the IWC must align kinetic and non-kinetic fires, synchronized alongside other operations. At your disposal are surface, subsurface, air, and space autonomous vehicles that can reason, recommend actions, and execute within prescribed rules of engagement. Autonomous information warfare platforms are hyper-connected with manned units using both laser and radio frequency communications links, complicating an already congested spectrum. The ability to tie all these elements together into the fleet tactical grid, coupled with advanced data analytics and machine learning, are required to prevail in our highly contested battlespace. Additionally, platforms are equipped with quantum computers networked across 24 time-zones. Secure cloud-networked afloat “information warfare vaults” at the tactical edge project combat power and provide the bandwidth, security, and resiliency needed to fight through information disruption and denial. Our peer adversaries have rapidly advanced their capabilities in parallel. Inexpensive and ubiquitous technology has eroded the qualitative operational advantages we once enjoyed. Our force must be postured to deny the information space to adversaries who wish to hold our national interests at risk. Resilience in your operations presents both sides of the coin; challenge and opportunity. We observed a sea change in operational focus, due to the vastly different threat outlook outlined 17 years earlier in the 2018 National Defense Strategy (NDS). In 2033 we face new and emerging threats that were not imagined then. For example, miniaturized computing coupled with advanced robotics on autonomous Artificial Intelligence (AI) vehicles have fundamentally changed maritime warfare. The rules of engagement are different and include means for AI in those autonomous vehicles to even make ethical decisions about warfare. Our adversaries no longer conform to Geneva Convention rules having judged them anachronistic for the current fight. As IWC you have a keen sense of how these factors govern our own warfighting actions, how the adversaries don’t behave in accordance with traditionally accepted rules of warfare, and how to incorporate all of these factors for an information advantage that ensures our lethality. Since 2000, the U.S. and China have been engaged in a fierce technological arms race, with AI at the forefront beginning 2018. Each amassed complicated autonomous combat platforms that can reason, recommend, and make decisions depending on their programming and their ability to learn. China made significant investments in people, processes, and technology (not always their own) to ensure dominance in AI and quantum computing. They have long held a strategic national objective to be the world leader in AI, working tirelessly to shape information interactions globally. What started in the early stages of Chinese and American research companies developing AI programming that defeated the world’s greatest chess and Go masters, has progressed to unprecedented computing capability far exceeding the capacity of the human brain. Physical devices such as automobiles, appliances, phones, and homes were embedded with sensors, software, and actuators connected to share data and control actions across an “Internet of Things.” This similarly transformed maritime operations. Strategic competitors like Russia and China added disruptive tools to their information arsenal to achieve warfighting maritime effects like operational technology disruption in navigation, propulsion. and other control systems. As the IWC, you understand how to stay one step ahead of potential adversaries by leveraging those same technologies and capabilities, integrating them into the fight, and denying enemy use. Your superior AI is a game changer enabling you to stay ahead. It correlates thousands of factors in real time yielding a tactical picture not disconnected from operational significance. Advanced modeling and simulation of possible enemy courses of action at the tactical edge provides you with recommended countermeasures. Real-time assessment of network conditions yields the means to communicate securely over vast distances to execute distributed operations. Because it processes vast quantities of data in fractions of a second, AI quickly learns, grows, and adapts within a rules framework such as command relationships, rules of engagement, campaign phasing, weight, level of effort, all covering multiple branches and sequels to operational plans. Your team provides the necessary “man in the loop” understanding and maintaining of Commander’s intent and strategic guidance. AI supports your maritime forces by providing courses of action based on analysis of massive amounts of sensor data and information from ashore and organic afloat sources. The key to this operator extended reality (clearer sight picture, farther reach, faster decision) is data veracity – a combination of data trustworthiness and core common data standards across and within the information kill chain. Warfighting decisions are made more quickly and reliably, even factoring ethical and moral elements into the calculus. Only in the most sensitive warfighting scenarios are humans used as the last deciding factor for weapons employment. The Navy moved boldly to get here by 2033. The information race was not an easy lift. 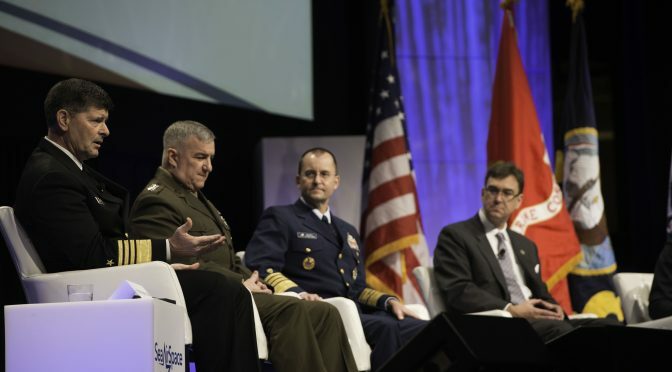 There were practical modernization, structural, and cultural challenges for the Navy to quickly integrate and adapt processes to leverage new technology on aging platforms, new ideas by old warriors, and to build the new platforms with the flexibility to insert emerging technology at a significantly accelerated rate. In 2018, the Navy’s acquisition and programmatic processes were slow, built for the industrial era. The Navy recognized this and changed. It forced creative solutions in how it imagined, researched, built, fielded, and sustained new technology. An example of this was their move to commercial cloud to more quickly deliver lethal technologies and advanced data analytics to the tactical edge of fleet operations. Continued reforms streamlined the traditional acquisition processes so that by 2033 new capabilities are continuously delivered in increments vice in their entirety over decades, ultimately yielding the agility we require for the fight. More important than improved acquisition processes is flexibility in how our most important treasure – our people – are missioned. To protect platform networks and exploit information advantages in 2018, the Navy began deploying cyber development units, Sailors specially trained who came with their own “cyber kit,” able to build tools “on the fly” to meet emerging priorities. By 2033, training, education, and organic platform capability have resulted in full spectrum cyber and information operations from sea. As the IWC, you recognize processes and people are just as critical to excellence in the information domain as the technology. You deliberately combine these three elements for warfighting supremacy. In 2033 you also have the authority to execute influence operations to shape the maritime and littoral battlespace. History from prior to 2018 demonstrated that peer adversaries like Russia and China quickly organized social media and public demonstrations around the world in support of their strategic objectives in the Ukraine, Southeast Asia, and America. In 2033, influence actions at the tactical and operational level are designed and executed by you and aligned to strategic objectives including targeted messaging on social media; suppressing, changing, or interfering with adversary maritime messaging to their audiences; or targeting dual-use entities that support adversary maritime sustainment. So how is this all playing out operationally in the total fight in 2033? Back in the South China Sea, as IWC you are coordinating with our coalition partners as a task force quietly slips out of San Diego. Under the guise of a planned international naval exercise, this force would include a Japanese “helicopter-destroyer” with a mix of Japanese F-35s and older V-22s, as well as a French frigate. To keep the Chinese unaware, the carrier fleet remains in port. The command ship, a Zumwalt-class guided missile destroyer, and two of the newest unmanned guided missile frigates lead the force. An American cruise missile submarine, which departed two weeks prior from the U.S. mainland, avoids the extensive Chinese underwater sensor networks that stretch to Hawaii. A key component to this lethal task force are those virtually undetectable unmanned surface and subsurface “sensor/shooter” vessels. These platforms use secure and resilient quantum-encrypted relays to massively powerful shipboard data clouds. This cloud ecosystem leverages advanced heuristics and machine-language algorithms correlating sensor production and dissemination of information in the context needed for action to humans and weapons systems. Task Force vessels spread across the Pacific, link land-and-space-based intelligence and surveillance collection and long-range ballistic missiles with Air Force B-52 “arsenal” planes loaded with hypersonic, anti-ship, and anti-air missiles. This powerful manned and unmanned naval force is part of a larger coalition response, sent as a bulwark between Vietnamese islands and the oncoming Chinese amphibious fleets. The Task Force Commander relies on you to execute denial and deception to confound the adversary and maintain tactical situational awareness (EMCON, counter-ISR and counter-targeting systems). You deftly impact adversary behavior through advanced influence operations executed against their maritime forces, partners, and logistics lines of communication. You and the converged human and machine team leverage the entire electromagnetic spectrum, from space to undersea and linked to assessment and intelligence nodes via tactical and operational level “cloud”-based quantum computing systems to proactively analyze, disseminate and act on information. Synchronized human-AI teams dynamically model, wargame, and execute pre-planned and improvised tactical actions and operational movements to prevent detection. Commander confidence is high in the human-augmented teams to quickly and accurately identify potential second and third order effects across an integrated battle space. You provide the Commander with the information warfare options needed to deter, and if necessary, defeat adversary forces. Your Commander has the highest levels of force readiness and uses technology to help maintain that state. The symbiotic relationship between machine and human extends down to the individual Sailor and platform as Sailor health and readiness are continuously monitored via implants and sensors, enabling your Commander to immediately recalibrate force distribution should you begin to take casualties. Before a shot is fired, the Commander knows she will win the information war, enabling success in the overall campaign. You as the IWC will give her that tactical and operational win as the conductor orchestrating the elements together for mission success. In a data-rich and knowledge-poor circumstance, challenged with sophisticated competitors, as IWC you will be more than just the conductor of this information orchestra; you will be the instrument builder and tuner, the composer, and the producer. You will rely on advanced technologies and computers to perform the heavy lifting so our forces can act dynamically with precision and purpose. Modern information warfare requires this nimble shift from orchestra to jazz, or to the raw power and disruption of punk rock. If you are interested in joining, contact the iBoss. Vice Adm. Timothy “T.J.” White currently serves as the Commander, U.S. Fleet Cyber Command and Commander, U.S. 10th Fleet at Fort Meade, MD. A leader in the Navy’s Information Warfare Community, White originally served as a surface warfare officer before being designated as a cryptologic warfare officer. He is a graduate of the U.S. Naval Academy and has postgraduate degrees from the Naval Postgraduate School and the National Defense University-Industrial College of the Armed Forces. He is also a Massachusetts Institute of Technology Seminar XXI fellow. He is a native of Spring, TX. Rear Adm. Danelle Barrett is serving as the Navy Cyber Security Division Director on the staff of the Deputy Chief of Naval Operations for Information Warfare (N2N6) in the Pentagon. An Information Professional, she graduated from Boston University where she received her commission via the Naval Reserve Officers Training Corps program. She holds Masters of Arts degrees in Management, National Security/Strategic Studies, and Human Resources Development and a Master’s of Science in Information management. Barrett has published more than 29 professional articles. Lieutenant Commander Robert “Jake” Bebber was commissioned through the Officer Candidate School program. An Information Warfare professional, Bebber holds a Ph.D. in Public Policy, a Master’s in Public Administration and a Master’s In National Security and Strategic Studies, as well as a BA in Political Science from Stetson University. He currently is assigned to the staff of Commander, Carrier Strike Group 12 on board USS Abraham Lincoln as the Cryptologic Resource Coordinator. From the White House to the Pentagon, the message is clear. The world of 21st Century great power competition has arrived, and it is distinctly different from the one today’s U.S. national security enterprise was designed to confront. Now is the time for every agency, department, and service in the executive branch to ask itself hard questions and consider decisive change. Nowhere is the imperative for introspection more acute than in the U.S. Navy, Marine Corps, Coast Guard, and Merchant Marine. They are the sea services responsible for sustaining American sea power; their forces the guarantors of maritime superiority for a maritime nation. Moreover, their leaders are the custodians of the national assets most threatened by the rise of China and Russia as new global rivals in the maritime domain. With this in mind, it is time to consider whether the emergent norms of this new era of great power competition also warrant a campaign to rethink the functions and missions of these sea services. Is now the time for a new maritime strategy for the United States? The answer is yes. Three hard questions point to why. What Will We Do if the Lights Go Out? The sea services have always been on the nation’s first line of defense against threats to national interests and on the first line of response to disasters at home and abroad. 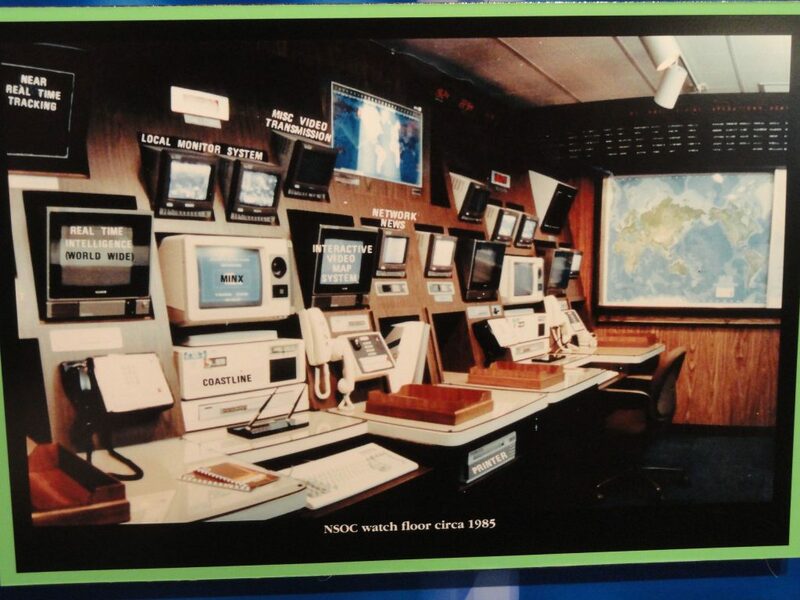 Traditionally this has taken the form of sustaining and guarding physical sea lines of communication (SLOCs) that connect the United States to other maritime nations, while exercising readiness to project military power or render disaster response to physical crises around the globe. The current maritime strategy of the United States bins these roles into five enduring functions – deterrence, sea control, power projection, maritime security, all domain access – and promotes seven naval missions – defend the homeland, deter conflict, respond to crises, defeat aggression, protect the maritime commons, strengthen partnership, and provide humanitarian assistance/disaster response. Anyone capable of tracking their way through these lists as they read the document is then offered a tour of U.S. maritime capabilities as they relate to each of these functions and roles. En route, they will find sound justification for everything the sea services are doing today. What they will not find is precise direction on how they should change to confront the future of maritime competition. This is a problem. China and Russia are both developing capabilities that could fundamentally change the character of contests at and from the sea. They are investing in unprecedented capacity for new means of physical and digital coercion. Russia brands it Information Confrontation. For China, it is Low Intensity Coercion and Intelligentized Warfare. 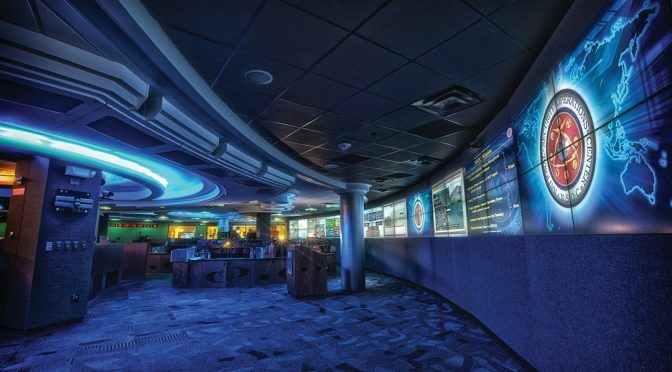 Each involves developing sophisticated offensive cyber doctrine, investments in high-end electromagnetic pulse weaponry, and capabilities to disrupt critical communications architecture around and beneath the sea. In early phases of escalation or conflict, it is fully plausible either rival could disrupt civil communications, impair digital infrastructure, and impede electrical services across large swaths of the United States. The implications for the future sea services are profound. Each must prepare to defend against digital coercion by maritime rivals and to protect new digital SLOCs for future maritime operations. What are the means by which the sea services could align with other national instruments of power to deter such coercion in peace and in war, and what could each sea service offer the nation in the worst-case that deterrence fails? Could the Navy and Merchant Marine deliver power-generating capacity and internet services from the sea? Could the Coast Guard help reestablish communications between coastal U.S. hubs? Could the Marine Corps help rebuild and defend critical digital nodes and infrastructure? Who would repair the undersea cables and defend them against further attack? In sum, the sea services need a strategy that evolves beyond today’s functions and missions, and toward defining future means to protect America against 21st Century coercion and be ready to respond if the lights go out. What if the Oceans Turn Transparent? One of the tenets of naval strategy has always been the vastness of the world’s oceans. There has traditionally been so much water, with so much activity occurring within and around it, that it was inconceivable any nation could capture and make sense of it all. Any ship at sea was not just the proverbial needle in a haystack. It was a moving needle among hay that was tossing, turning, and even inhabited. The best navies in history have applied this tenet to their advantage. They developed navigational and communications techniques to maintain the edge over rivals in knowing where their ships were among others in the haystack, along with the fastest ships to traverse the open ocean swiftly or furtively. Maintaining that part has always been hard, demanding continual progress in command, control, and communications technology in platforms built to leverage every boundary of physics they could challenge. On the other hand, hiding has historically been easy. It has been a matter of either knowing where to hide in the ocean’s multi-layered domain or reducing physical signature enough to look like other needles or hay in the stack. For the first time in history, there is evidence that this may all be about to change. With the emergence of a globalized sensor-based economy, the world is on track to host more than 50 billion “smart” devices and one trillion digitally connected sensors by the early 2020s. Of course those won’t all be sensing the maritime domain, but many will be. They will be mass-manufactured in a host of sizes and configurations and employed on long-endurance drones on and above the ocean’s surface, in nano- and micro-satellites in space, or scattered along the coasts and sea-bed. They will be employed in abundance on military, commercial, and possibly even biological platforms; collecting, deciphering, and transmitting the data of the seas. For the aggregators of this data, virtually everything in the haystack could be visible – critical portions of the oceans will be effectively transparent. Yet that is only half the problem. Development and operationalization of Artificial Intelligence (AI) and autonomous systems, alongside advances in quantum computing and radar, offer the promise of harnessing machine processors to discern patterns in the data such that nearly every needle can be found, or at least rendered probabilistically present, with greater accuracy than humans have ever achieved. The impact on the future sea services will be immense. Postures of passive defense will no longer be enough to protect their assets at sea. Is the United States ready for a fight in which the competition for sensor saturation and AI dominance is a core determinate of victory at and from the sea? Are the sea services prepared for an operating environment in which maneuver among rival maritime forces becomes an active game of confounding the predictive analytics of rivals and finding novel ways to hide in the clutter of the oceans’ dynamics? And perhaps of greatest concern, what if the transparency extends below the sea surface and the Navy’s undersea contribution to the U.S. nuclear triad is someday laid bare? Is it worth a strategic hedge such as diversifying employment of strategic weapons and high-yield tactical missiles onto surface combatants, carrier-launched aircraft, or in extremis even container vessels of the Merchant Marine? In sum, the sea services need a strategy that addresses holistically how to sustain American sea power if the oceans turn transparent. How can We Mobilize a Digital Maritime Nation? Since the War of Independence, America’s leaders have recognized that they are responsible for a maritime nation. Yet how to convey that in policy has not always been self-evident. During the inter-war years of the 1930s, as now, the U.S. Government witnessed an escalation of competition among maritime rivals on a scale that had never been seen before, enabled by technology that was fundamentally changing the character of contests between them. National leaders at the time knew the United States had an edge in industrial production and innovation, but they did not know how to mobilize it for a global fight. In response, the President and Congress passed the Merchant Marine Act of 1936, establishing a Maritime Commission. It was a federal body directed and authorized to chart the mobilization of an American maritime nation for the level of global competition and contest it saw on the horizon. By the 1940s, when those contests turned to war, the nation had at least thought through what was needed in the months and years ahead. America remains a maritime nation but is now a digitally interdependent maritime nation in a digital age. This is something new. Wall Street and the solvency of the Federal Reserve are nearly as reliant on foreign digital market transactions as they are on U.S. investments. The nation’s most powerful and valuable firms are corporations with legal, digital, and human elements that span the world. And U.S. universities – the engine of digital and industrial ingenuity – are digitized global enterprises unto themselves. The significance for the sea services is dramatic. They need to think through how to secure America’s national innovation complex and defend its intellectual edge in a world of commoditized data and information. They merit collective contingencies to mobilize the industrial giants of the Fourth Industrial Revolution for sea power competition on behalf of America and our Allies. What will be the legal and financial terms under which the services of Amazon, Microsoft, Google, Apple, Space-X and others are commissioned should today’s contests turn to war? Is it time to reconsider standards and terms of selective service for the Digital Age? Do the sea services need new authorities to explore, resource, and test innovative concepts for burden sharing in the event of mobilization? In sum, there should be a strategy to articulate a national vision and lay the foundation for mobilizing a digitized America for the digitized contests on the horizon. These are the first of many questions the U.S. sea services should be asking, but the questions are just the start. Collectively, the services need answers, and they need them fast in order to beat emergent maritime rivals to the future. Equally important, these answers must align across national maritime authorities – public and private, agencies and services, U.S. and Allied – to ensure they all get there together. In short, they need a new U.S. maritime strategy for a digital age. Frank Goertner is a Commander in the U.S. Navy. His most recent assignment was as a Strategic Planner for Future Fleet Design and Architecture in the Office of the Chief of Naval Operations, Future Strategy Branch. The views and opinions expressed are the author’s alone and do not represent the official position of the U.S. Navy, U.S. Department of Defense, or U.S. Government. It is time for a Navy-wide campaign to rethink force strategy, design, and culture for competition in a digitized world. Return to great power competition; revisionist powers; renewed capabilities; rebuild our military: such phrases feature prominently in recent U.S. national security guidance. They convey an imperative to look to the past as the nation prepares for a potentially volatile future. For American navalists in particular, they offer nostalgic optimism. Three times in the 20th Century, the Navy confronted rivals to U.S. sea power and prevailed. As the world returns to similar heights of geo-strategic rivalry, it is tempting for Navy leaders to approach the future via plans to rebuild past success. With concerted effort, the Service can revise known strategies, renew forgone capacity, and return to prior postures for the contests ahead. This approach would appear logical. It would also be a mistake. The world and its competitive landscape are changing in profound ways. The advance and proliferation of digital technologies among interdependent societies has established digitized information as a new global commodity of unprecedented strategic value. This development is upending competitive norms across and within human enterprises around the world and inspiring new paradigms that will reshape future contests between them. We see this in markets and geopolitics alike. For the Navy, one such enterprise, this implies that the approaches most pertinent to its future may not be behind it, but around it. This is not to say history is irrelevant. But alongside its lesson, Navy leaders should account for how commercial peers and maritime rivals are preparing their own enterprises for the contests ahead. As important, they should do so free of any assumptions that could self-constrain the Navy’s ambitions for its future within paradigms of its past. A glance around at the Navy’s peers and rivals suggests that an approach to rebuild for the future is not enough. Navy leaders should promote new competitive paradigms to fully leverage digitized information and harness its strategic value. They need a campaign to rethink force strategy, design, and culture for the contests ahead. In sum, the Navy needs to reinvent itself as a digitized enterprise for the digitized world. Information has always been a source of competitive advantage in the market, but digitized information in a globalized and digitized economy is something new. It is a global commodity that can assume unprecedented levels of strategic value. In industries around the world, control of digitized information has become as – sometimes more – determinative of competitive outcomes than ownership of physical space or manipulation of material goods. The challenge is that paradigms don’t change easily. Moreover, if they don’t change fast enough, a firm risks obscuring its vision for the future within lenses ground in the past. Therefore, executives of the most successful firms are promoting their new paradigms with campaigns to rethink corporate strategy, design, and culture for the market’s new norms. In effect, they are reinventing their firms as digitized enterprises for a digitized world.8 What does this entail? For an idea of how this looks in practice, Marriott is a firm driving to reinvent. For five decades through the 1990s, Marriott was a leading owner of lodging and dining facilities. As of last year, it owned just 22 hotels worldwide; yet still claimed control of “more than 6,000 properties in 122 countries and territories.”17 In the two decades between, Marriott executives promoted a new competitive paradigm that prioritized digitized information as a global commodity and strategic priority on par with – sometimes superior to – material sources of value. As evidence of how comprehensive this paradigm shift has been, Marriott’s 2016 acquisition of Starwood Hotels was the biggest deal in hospitality history. Yet consider what aspect of the deal Marriott flagged to investors in its annual report: “With the acquisition, Marriott now has the most powerful frequent traveler programs in the lodging industry.”18 For Marriott, the deal’s value derived at least as much from the digitized information gained as in material resources. Since the deal, Marriott’s focus has been to harness the strategic value of that commodity. They use a platform approach to integrate material and digital resources across reservation, financial, and management systems. Executives are envisioning Marriott customers as digital immigrants, with planners evaluating each immigrant’s digital journey, “from searching for a hotel room . . . through and then after the stay.”19 And Marriott personnel are retooling practices to align human talents and machine tasks across the merged digitized enterprise. General Electric (GE) and Boeing offer additional examples somewhat closer to the Navy. GE is racing to preserve its claim as the last original American industrial firm in the DOW by reinventing itself around its digital platform – PREDIX. Boeing, for its part, now refers to “data as fuel,” and is proactively exploring how to design future systems, platforms, and workforces around its own digital platform – Analytx.20 Both, like Marriott, are racing to reinvent themselves as digitized enterprises for the digitized contests they see ahead. As in business, information has always been an integral part of military competition. The quote above from one of the 20th Century’s great navalists highlights this poignantly. Yet reread it substituting FDR’s books with today’s equivalent, digitized information, and the quote rises to a whole new meaning. In the 21st Century, digitized information has emerged as a global commodity of unprecedented strategic value in the competition for sea power among maritime nations. With maritime communication, transportation, and national service networks reliant on digital infrastructure, the information they carry has immense geo-political value. Employment of digitized information in automated battle management systems, operational analytics, and cyber operations could drive down marginal costs and augment cumulative effects of military operations at exponential rates. Finally, networked digitized information offers the prospect of widely disbursed forces operating with nearly free, perfect and instant command, control, and communications (C3) with coherency and precision. In sum, digitized information in the 21st Century maritime operating environment is more than an operational enabler; it is a strategic resource that can be as – perhaps more – decisive to victory as the physical control of territory or the kinetic lethality of material weapons. These are the new norms of the digitized maritime operating environment, and navies around the world are taking note. It is hard to imagine a better resource than digitized information for a modern military in pursuit of Sun Tzu’s timeless ambitions. This is not lost on 21st Century rivals for U.S. sea power. Both Russian and Chinese military leaders are promoting new paradigms that effectively invert past thinking on military competition, migrating away from 20th Century doctrine focused on a digitally-enabled fight for control of the territory and infrastructure that have historically defined victory. Rather, they are strategizing for a materially-enabled fight to control the digitized information that could define victory in a future fight. In effect, like their commercial peers, each is racing to reinvent themselves as digitized enterprises for the digitized contests they see ahead. What does this entail? With peers and rivals racing to define their futures, the U.S. Navy is presented with a choice for its own — rebuild or reinvent? Some will read this as a retread of the classic force planning calculus of capacity versus capability, and they will claim it’s nothing new. Others will say that it is a false choice, with the decision already made to do both. The Service has committed to grow its force structure, reconsider its force posture, and upgrade its systems and personnel. Either argument misses the point. Before the Navy strikes for new capacity, new capabilities, or both, Navy leaders must decide what kind of enterprise the Navy will be for the contests they see ahead. Even if the targets for capacity and capability are clear, what is not is the lens through which the Navy will sight them. And that lens matters immensely. It will shape the assumptions from which its leaders depart, the questions its planners ask in charting the course, and the criteria for prioritizing decisions along the way. A choice to rebuild is a choice to retain current paradigms or adapt incrementally from those of the past. It is a choice to keep strategic focus on a fight for control of territory and infrastructure, knowing that rivals have shifted their focus to a fight prioritizing control of digitized information as much – or more – than the physical geography it passes through. It is a choice to grow the force within current fleet structure, expand concepts rooted in current functions and missions, innovate within current program and budgetary decision processes, and adjust current personnel models – all of which were designed for contests in a pre-digital world. Ultimately, it is a choice to return to the type of force that America knows how to build and how to fight. How would a rebuilt Navy look? It would be a Navy of digitally augmented Carrier Strike Groups and Air Wings to sustain manned power projection missions, digitally enhanced submarines to sustain predominately nuclear deterrence missions, digitally assisted surface action groups to re-attain capacity for sustained geo-spatial sea control, and maritime security missions with more and better data but still processed through human constraints on how to use it. It would be a Fleet with new digital resources, but still postured to defend and secure maritime infrastructure, trade routes, and allies prioritized within a pre-digital terrain where maneuver and coercion played by different rules. 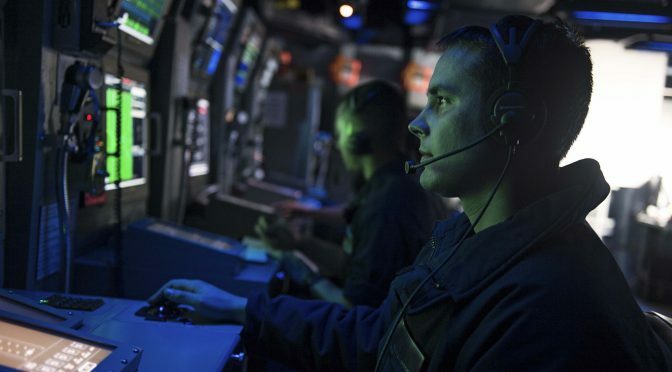 Finally, it would be a workforce of Sailors and civilians enabled by digitized resources such as AI and robotics to execute today’s requirements, but not necessarily teamed with them to define and explore new frontiers – frontiers such as fully or semi-autonomous long-endurance strike groups, offensive sea-based cyber operations, or non-nuclear deterrence forces for digitized coercion. A rebuilt Navy is fine if the fight the Navy sees ahead is the fight it sees behind. The challenge is that the Navy’s peers and rivals, embracing new paradigms, are assuring that won’t be the case. The rebuilt Navy may be suited for the fight the U.S. wants to fight, but how well can it secure victory in a materially-enabled fight for digitized information? As important, how well does it deny rivals their access to this new strategic commodity? In the end, a rebuilt Navy in contest with reinvented navies could be precisely the right Navy for precisely the wrong fight. If Russia and China are right, and victory in a digitized world rests as much – or more – on command of digitized information as it does material resources, then this approach cedes strategic aperture to rivals choosing to reinvent instead of rebuild. Even if hypothetical, this is a mistake the U.S. Navy cannot afford. The U.S. Navy should set its sights beyond rebuilding and aim to reinvent itself as a digitized enterprise for a digitized world. Fortunately if it does, there are initiatives already underway that move in the right direction. However, the Service has yet to progress from individual calls to action and policy initiatives toward driving the type of holistic campaign it will need to truly reinvent itself. The Navy’s functions and missions remain defined by a maritime strategy rooted in paradigms and assumptions of the 20th Century. Its program management, budgetary decision processes, and doctrine development remain confined within an organizational construct of “N-codes” largely static for the past two decades. Finally, the majority of its people – both civilian and military – continue to be led, organized and trained with personnel models and mindsets built for pre-digital contests between pre-digital navies. (1) Reshape strategic perspectives with a new maritime strategy for the digitized world. Navy leadership should promote efforts to aggressively rethink 20th Century paradigms of sea power. This should start with a new maritime strategy focused on defining new national-level ends and means for maritime contests in which digitized information is a global and strategic commodity. A component of this should be an analysis of how sea power itself may be changing, addressing hard questions head-on about the evolving nature and character of the Navy’s traditional functions. What is the nature of deterrence in a digitized and automated multi-rival competition? How do definitions of power projection shift with new options for digitized escalation that precede the traditional material kill-chain? How does the Navy balance spatial, temporal, and cross-spectral dynamics of sea control in a digitized fight? What types of maritime security regimes should the United States promote in a digitized maritime domain populated with ever-growing numbers of both humans and machines? Should the Sea Services pursue a U.S. version of interagency Information Confrontation or Low-Intensity Coercion? Most importantly, the strategy should not evade a blunt assessment on which of today’s naval missions will endure, which could become superfluous, and what new potentially unprecedented missions our Navy and Sea Services will need in order to fight and win as a digitized enterprise in a digitized world. (2) Redesign the Fleet around platforms and journeys of a digitized fight. Navy force strategists and planners should be encouraged to re-envision Fleet missions, structure, and posture as operational components of a digitized Fleet. This implies moving past benchmarking approaches toward digital solutions as either an enabler or alternative to existing programs. Instead, the Navy needs to think of the future Fleet as a system of digital platforms for the future and experiment with ways to fight that system in new missions and innovative ways. It should then align and prioritize its investments and analytic processes to optimize the digitized missions – or journeys – of its future forces and Sailors on those platforms. This should prompt Navy force planners to invert traditional planning inquiries and collaborate toward optimizing both digital and material solutions between, and not just within, their programs. For example, instead of asking, “how can the Navy employ AI to improve program ‘X’?” They should ask, “how can the Fleet as a system of digital platforms leverage AI to counter the Russian undersea cable threat or Chinese drone swarming?” Then, in building architectures for these solutions, they should think through the journey of each applicable weapon or payload along the kill chain, each Sailor or system along the deployment cycle, and each ally or partner that could interphase for the mission. A key part of this should also be experimentation on precise levels of velocity and veracity of information that commanders will need to conduct future Fleet missions, whether they be at the strategic, operational, or tactical level of maritime contest. Existing Navy initiatives to build a Fleet Tactical Grid and define a Future Fleet Design and Architecture for 2045 are notable steps in the right direction. But they need to be linked to a broader effort for Service-wide reform of operational doctrine, programs, and structures for the digitized contests ahead. (3) Evolve a digital culture of human-machine teams, and equip them to lead the digitized Service. Navy personnel, both military and civilian, should be cultured to embrace the digitized force they will comprise – a force for which command and employment of digitized resources is more than just a means to win the fight at and from the sea; it might well be what the fight is all about. This means accepting that the optimal mix and dispersion of human and machine tasks within a digitized architecture may change dramatically from traditional models. How will the Navy recruit, train, distribute, evaluate, and ultimately co-evolve a workforce of human-machine teams? How will it tailor access and use of digital information for digitized operations? How will it grow and retain a cadre of symbolic analysts and innovators to drive it through the exponential change it seeks? And can they make use of digitized solutions to improve and accelerate learning and thinking along the way? In short, reinvention into a digitized force cannot give short shrift to the need to invest deliberately in tomorrow’s Navy Sailors, civilians, and the machines with which they will fight. For a Navy steeped in traditions, reinvention will not be easy. Even more challenging, it must beat two maritime rivals in a race to the future. It will therefore need to be deliberate, it will need to be fast, and it will need to be decisive. That calls for Navy leaders to launch a holistic campaign to guide the Service to the future it seeks to invent for itself and for its nation, without a moment to lose. Frank Goertner is a U.S. Navy Commander serving as a Strategic Planner in the Office of the Chief of Naval Operations, Future Strategy Branch. The views and opinions expressed are the author’s alone and do not represent the official position of the U.S. Navy, U.S. Department of Defense, or U.S. Government. Thomas Kuhn, The Structure of Scientific Revolutions: 50th Anniversary Edition (The University of Chicago Press, Chicago) 2012, 111. Chris Anderson, Free: How Today’s Smartest Businesses Profit by Giving Something for Nothing (New York: Hachette Books, 2015), 12-13. Andre McAfee and Erik Brynjolfsson, Machine Platform Crowd: Harnessing Our Digital Future (W.W. Norton & Company, New York, 2017), 137. Jacques Bughin, Laura LaBerge, and Anette Mellbye, “The Case for Digital Reinvention,” McKinsey Quarterly, February 2017. Jeff Bezos, “2016 Letter to Shareholders,” Amazon.com, 12 April 2017. Thomas M. Siebel, “Why Digital Transformation is Now on the CEO’s Shoulders,” McKinsey Quarterly, December 2017. Jaques Bughin Nicholas Van Zeebroeck, “Six Digital Strategies, and Why Some Work Better than Others,” Harvard Business Review (online), July 31, 2017. Gerald C. Kane, Doug Palmer, Anh Nguyen Phillips, David Kiron, and Natasha Buckley, “Achieving Digital Maturity,” MIT Sloan Management Review, Summer 2017. McAfee and Brynjolfsson, Machine Platform Crowd, 166. Andrew Bollard, Elixabete Larrea, Alex Singla, and Rohit Sood, “The Next-generation Operating Model for the Digital World,” Digital McKinsey (online), March 2017. “Building Your Digitial DNA: Lessons from Digitial Leaders” Deloitte MCS Limited, https://www2.deloitte.com/mk/en/pages/technology/articles/building-your-digital-dna.html. McAfee and Brynjolfsson, Machine Platform Crowd, 32-85. Robert Reich, The Work of Nations: Preparing Ourselves for 21st-Century Capitalism (Alfred A. Knopf, New York) 1991. “Marriott International, Inc. 2016 Annual Report,” Marriott International 2016. Ted Colbert and “Data as jet fuel: An interview with Boeing’s CIO” McKinsey Quarterly, January 2018. Linton Wells, “Prepared for the Battle but Not the War,” U.S. Naval Institute Proceedings Magazine. 143/11 Nov 2017. Patrick Tucker, “The Next Big War Will Turn on AI, Says The Pentagon’s Secret-Weapons Czar.” DEFENSE ONE (online), 28 March 17. Sun Tzu, The Art of War, Translated by Thomas Cleary (Shambala, Boston, 2003), 108. Jim Rutenberg, “RT, Sputnik and Russia’s New Theory of War. How the Kremlin built one of the most powerful information weapons of the 21st century — and why it may be impossible to stop.” The New York Times Magazine, Sep 13, 2017. “Annual Report to Congress: Military and Security Developments Involving the People’s Republic of China 2017.” Office of the Secretary of Defense, May 2017, 12. Rishi Sunak, “Undersea Cables: Indispensable, Insecure.” Policy Exchange, 2017. Ronald O’Rourke, “China Naval Modernization: Implications for U.S. Navy Capabilities—Background and Issues for Congress.” Congressional Research Service, December 2017. Tom O’Connor, “U.S. Is Losing To Russia And China In War For Artificial Intelligence, Report Says,” NEWSWEEK (Online), 29 Nov, 2017. Dennis Gabor, Inventing the Future. (Alfred A Knopf, New York), 1963, 207. John Richardson, “The Future Navy,” Navy.mil (online), 17 May 2017.